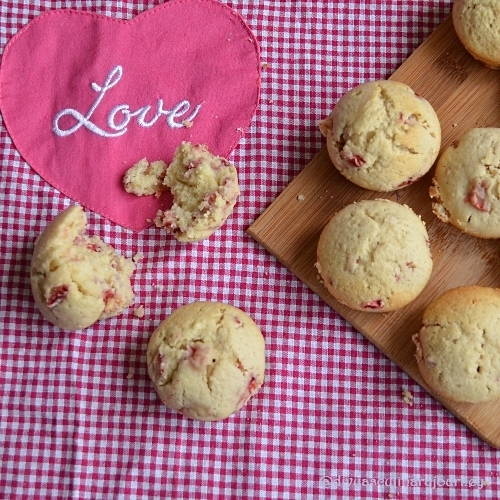 cute story.. younger brothers are more interested in fights but sometimes they give sweet surprises to us.. Spongy and cute looking muffins..
lovely post dear!looks so cute and soft.. I love strawberries too - we take them for granted here because they are so readily available. I love that your brother got some for you when you were craving them.... that was a very sweet thing to do. So glad you like the muffins - your photo is great! Much better than the one I have posted on my blog (I was a newbie blogger at that time I made them and wasn't as skilled with the camera yet - I should make them again so I can get a better picture posted). Thanks so much for the mention and link to my blog. I hope you'll visit again soon.!! Wow those muffins looks damn spongy,cute and very attractive. 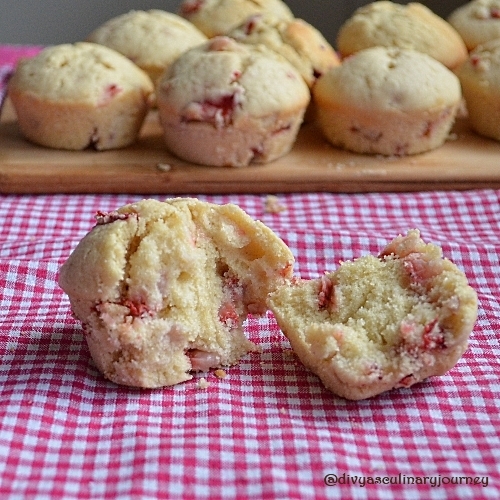 Real soft and moist muffins..looks perfect! 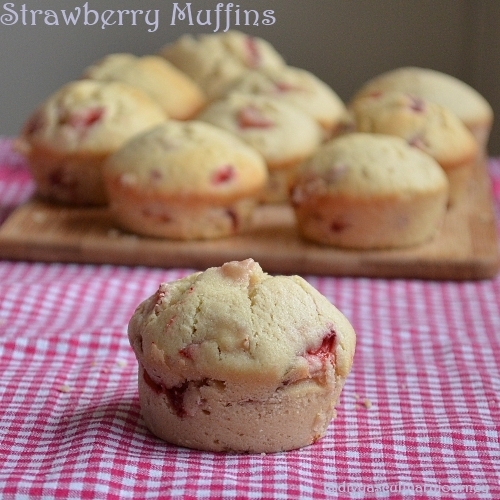 How sweet of ur bro..muffins look delicious..I've blogged about strawberry shortcake muffins long time ago..fruity bakes are always yumm! These look so perfectly soft and delicious, perfect for showcasing those beautiful strawberries pack inside. I must try them! Love the sounds of this! i love strawberries too, so Bookmarked!